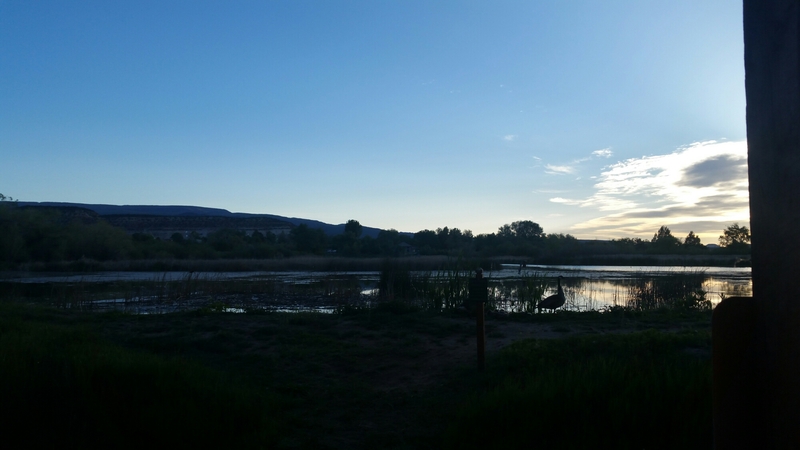 We ended up staying at a hotel in Boulder, Utah, and it turns out there is a bird sanctuary in the back. As I watched the sun rise this morning I snapped a pic. Thomas got some really nice pictures. His Powershot camera has a 50x optical zoom. I only brought the 18mm-55mm lens. So great landscape shots, but no real zoom.